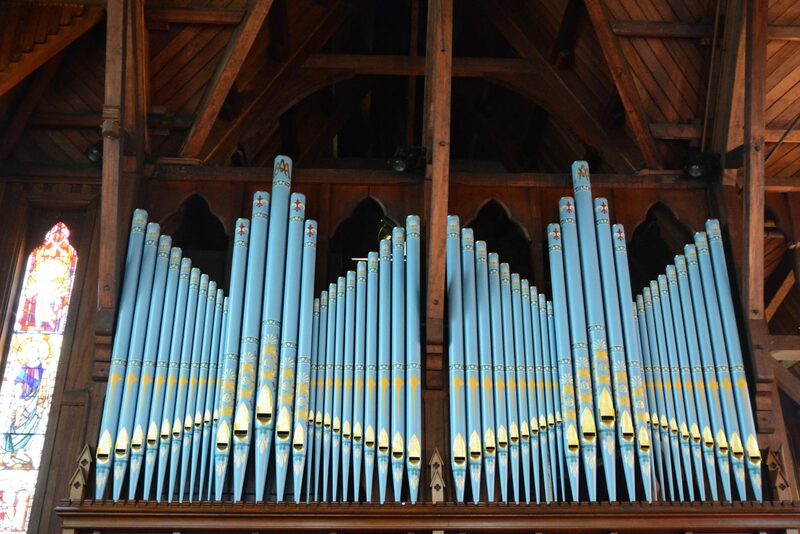 The newly Decorated Pipes of the Organ at St Mary’s in Parnell are in place. 107 years after it was designed, the George Croft pipe organ in St Mary’s-in-Holy Trinity has finally received the pipe decoration that was always intended! George Croft left no indication of design for the pipe decoration so, in consultation with the Selwyn’s Vision Project committee, Studio Carolina Izzo was engaged to design and decorate the pipes.